A must watch FaceBook video …. This is a very difficult video to make. As I reflect back on my 1,000 day journey, I wanted to share with you one moment that stands out. But this time, I wanted to show you what happened next. Don’t let a few bad apples ruin it for everybody on both sides. When Israelis and Palestinians make peace, I am confident the entire world’s happiness levels will rise by 10%. It’s a global issue. It’s so important. I hope this video helps shed light on these relationships. IS ZUCKERBERG FINALLY CLAMPING DOWN ON HATE IN THE PAGES OF FACEBOOK? Facebook deleted Yair Netanyahu’s posts, prompting him to take to Twitter to criticise the social networking giant, calling it a “dictatorship of thought”. Facebook blocked the account of Yair Netanyahu after he shared content banned by the platform that called for avenging the deaths of Israelis killed in recent days by Palestinian terrorists. Netanyahu, the son of the Israeli prime minister, also called Facebook “thought police” in a post criticising the removal of previous content. He reposted some of the offensive posts using screenshots, which circumvent the social media site’s controls. Last week, Yair Netanyahu said in a post that the press, as well as left-wing NGOs and politicians, are “traitors,” and in another post suggested that all Muslims leave Israel. He has previously been criticised for his boorish social media posts. 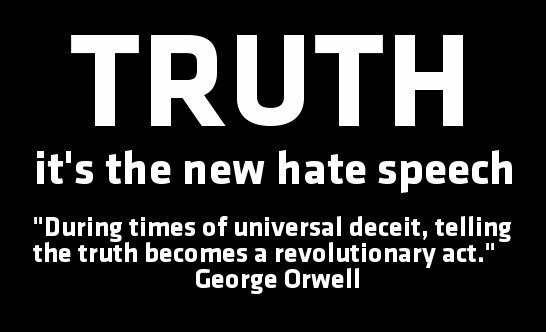 First see THIS post for background info …..
New leaked excerpts from censored Al Jazeera film reveal The Israel Project’s secretive Facebook influence campaign. Excerpts of the censored Al Jazeera undercover film on the Israel lobby in the US have started to be leaked. The Electronic Intifada’s Ali Abunimah and the Grayzone Project’s Max Blumenthal explain how these clips show the Israeli government backing attacks on American pro-Palestinian activists and Black Lives Matter. Facebook campaigns were run by professional Washington D.C. political operatives who work for a group called the Israel on Campus Coalition, according to promotional materials obtained by ProPublica and the Forward. This story was co-published with ProPublica, the investigative journalism organization. Despite their names, the Facebook campaigns were run by professional Washington D.C. political operatives who work for a group called the Israel on Campus Coalition, according to promotional materials obtained by ProPublica and the Forward. In response to criticism of Russia-linked ads, Facebook recently created new rules requiring disclosure of who is paying for political ads on the site. How the company defines what is political remains murky. Anonymous digital campaigns appear to be a central part of the ICC’s efforts to combat pro-Palestinian activism on U.S. campuses. This past spring, the ICC appears to have set up at least one anonymous website to oppose a George Washington University student government resolution that called on the school to divest its endowment from certain companies that students said were profiting from Israeli violations of Palestinian rights, the Forward reported. The ICC’s leaders discussed their covert social media tactics in an unaired Al Jazeera documentary featuring hidden camera footage of Washington, D.C. pro-Israel advocacy officials. “With the anti-Israel people, what’s most effective, what we found at least in the last year, is you do the opposition research, put up some anonymous website, and then put up targeted Facebook ads,” said the ICC’s executive director, Jacob Baime, in the Al Jazeera documentary, which was filmed in 2016. The film was viewed by ProPublica and the Forward. McChrystal, who led the U.S. military’s special forces and the NATO war effort in Afghanistan in 2009 and 2010, emphasized so-called “offensive information operations” to embarrass and discredit violent insurgents. The Al Jazeera documentary, in which a journalist went undercover as an intern for a pro-Israel advocacy group in Washington, has been the subject of months of international intrigue and has never been aired by the network. Decrying the undercover tactics, pro-Israel groups and members of Congress have pushed back against the documentary series and Qatar, which funds Al Jazeera. The network, which has faced public criticism from its own journalists for not airing the documentary, said in April it did not buckle under pressure from a pro-Israel group in deciding not to broadcast the program. A spokesman didn’t respond to requests for comment. Footage in the documentary also shows ICC officials describing their working relationship with the Israeli government. Baime says in the documentary that ICC officials “coordinate” or “communicate” with Israel’s Ministry of Strategic Affairs, an Israeli government department that has become the hub of the Israeli government’s overt and covert efforts against the boycott, divestment and sanctions movement in the U.S. and around the world. A spokesman for the agency didn’t respond to requests for comment. In the same hidden camera footage, Ian Hersh, the ICC’s director of operations, said that the Ministry of Strategic Affairs participates in the group’s “Operations and Intelligence Brief,” a regular strategy meeting. In recent days, some aspects of the Al Jazeera documentary as well as a short clip have been posted on the website Electronic Intifada, a pro-Palestinian news site whose executive director, Ali Abunimah, appears as an interviewee in the film. Baime and Hersh didn’t respond to requests for comment about the footage of them in the documentary. According to the ICC’s donor materials, the group identified and worked with a non-Jewish military veteran and San Jose State University student to write a blog post critical of Kanazi. The precise nature of the group’s work with the student is unclear from the donor materials, and the student did not respond to requests for comment. The ICC then created and paid to promote the “SJSU Students Against Hate” page, which linked to the blog post. “Kanazi preaches hate on the campuses he visits,” the student wrote in the post, which appeared on the website Medium and has since been deleted. Kanazi said that he does not recall being aware of the anonymous Facebook pages at the time. “These insidious tactics are part of a larger campaign to smear students, professors, and anyone who dares speak up for Palestinian human rights at universities,” he said in an email. Remi Kanazi – Normalize This! 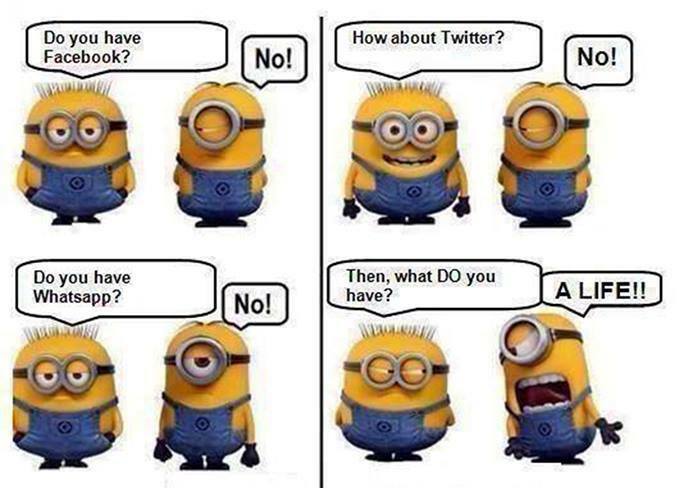 OK FACEBOOK ….. YOU WIN! Finally gave in and activated my FaceBook account. Seems it’s the only way to communicate with LAZY people who don’t check their email! BTW …. don’t try to ‘Friend’ me, except if you know me already. Comments Off on OK FACEBOOK ….. YOU WIN! Palestine will be free. Mark Zuckerberg, you teamed with the wrong side. Palestinians remain concerned over Facebook’s power to censor their voices. The Palestine Information Center (PIC), an independent Palestinian news website and network had their Facebook page temporarily suspended for publishing a 2009 cartoon by Brazilian political cartoonist Carlos Latuff. The graphic shows a woman walking and carrying a wounded child in front of an Israeli flag with one of the blue banners of the flag covering her mouth. Latuff’s text issued a warning: “SHHHHHHHHHH!!! Denouncing Israeli War Crimes Is Anti-Semitism“. This is not a far flung radical concept since criticism of Israel and/or issues relating to the U.S. relationship to Israel, including criticism or mention of the Israel lobby are continually lambasted as anti-Semitic. The examples are endless, even President Obama was accused of anti Semitism. Recalling the war crimes committed during those gruesome 22 days in the winter of 2008-2009, when Israel pummeled the Gaza Strip, killing more than 1,300 people, including over 300 children — articulated in the Goldstone Report (pdf) released in September 2009 — I asked Latuff if there was a specific incident that prompted him to draw the cartoon in 2009. “Nope, not a specific incident, just to highlight the censorship often found on Internet related to everything critical to Israel”. Facebook Community Standards can be viewed here. During her trip to the U.S. in November 2015, Israel’s Deputy Foreign Minister Tzipi Hotovely met with representatives of YouTube and Google to discuss ways her ministry could “cooperate” against “inflammatory material” she claimed was inciting violence and terror attacks. Curiously, recently I searched for current videos of Israeli violence against Palestinians on both Google and Youtube and the only videos readily available dated back to last October, nothing current. Strange. The only vulgarity about this cartoon is the truth it helps expose. Responding to the news Facebook had removed his cartoon Latuff tweeted “This censorship proves EXACTLY the point of cartoon“. How ironic. IS FACEBOOK ABOUT TO RECOGNISE PALESTINE? Strange happenings at the zionist controlled social media …..
You have to like this …. New advertising settings place Judea-Samaria, parts of Jerusalem, and the Golan Heights as ‘outside Israel,’ according to Israeli media. Facebook not only considers Jewish areas of Judea and Samaria (Shomron), but also parts of Jerusalem and the Golan Heights, as outside of Israel, according to exposé published Sunday. The social network updated its advertising system recently allowing editors of popular pages the chance to gear their posts toward a specific geographical location. However, a great deal of the State of Israel is not considered within Israel’s borders, according to Channel 2. Areas within the desired country are usually shown ‘highlighted’, whereas areas outside that country’s borders are greyed out, they explained. Channel 2 tested the new system to aim posts in eastern neighborhoods of Jerusalem, for example, and saw that the rest of the State of Israel became automatically “greyed out.” The same happened during any attempt to aim posts toward areas over 1949 Armistice lines or in the Golan Heights. The news site notes that, as of right now, the posting system merely becomes burdensome; whereas choosing “Israel” should aim the posts to all of the State of Israel automatically, separate settings are required to specify areas Facebook apparently deems as outside its borders. Facebook did not respond to the channel’s requests for comment. Comments Off on IS FACEBOOK ABOUT TO RECOGNISE PALESTINE? Despite Prime Minister Benjamin Netanyahu’s supposed apology for his incitement against Palestinian citizens of Israel during Israel’s recent election campaign, his government continues to spread anti-Arab hatred. 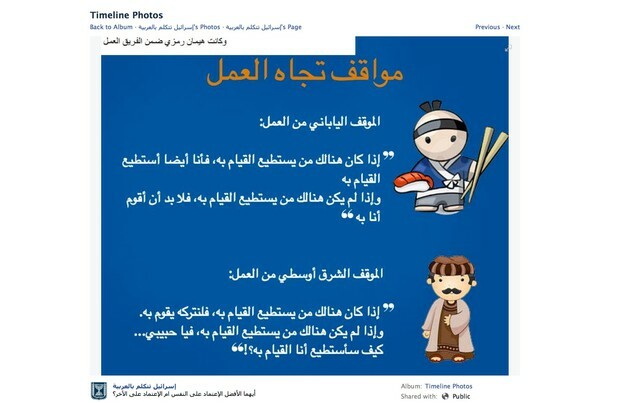 It includes two stereotyped and demeaning figures, one representing a Japanese person, and the other an Arab. In Israel, stereotypes of Arabs – often the lowest paid, least protected and most exploited workers – as lazy, reflect the kind of racist attitudes toward natives prevalent in other settler societies. This is also reflective of the anti-Arab attitudes taught to Israeli Jewish schoolchildren from the youngest age. A government that purported to care about all its citizens would fight such stereotypes instead of spreading them. But as the Israeli organization Sikkuy meticulously has documented in its “Equality Index” reports over several years, Palestinian citizens of Israel face systematic legal, social and economic discrimination. The direct result is much higher unemployment and poverty, poorer health outcomes and shorter lives. As I demonstrate in my book, The Battle for Justice in Palestine, this discrimination is not incidental to Israel’s policies but a central part of maintaining a so-called “Jewish state” (You can read a relevant excerpt here). An Israeli court in Petah Tikva extended the detention of Suhaib Zahida, 31, until Sept. 4, after he was arrested on Thursday for creating a page on Facebook called “the Intifada of Hebron” in addition to leading a campaign for the boycott of Israeli products. HEBRON (Ma’an) — An Israeli court on Friday extended the detention of a Palestinian activist who was detained for political activities on Facebook for a week, a Ma’an reporter said on Saturday. Zahida had previously participated in several nonviolent campaigns opposing the Israeli occupation and was an active member of groups working to oppose the recruitment of Palestinian citizens of Israel to the Israeli military. Palestinians inside Israel have been previously detained for short periods of time and questioned regarding their political activities on Facebook, but such arrests rarely occur in the West Bank. Could the term “We were only taking orders” be applied to the following? Seven Israeli soldiers were sentenced to prison for posting photos calling for retaliation for the murder of three Israeli teenagers. The military handed down a 10-day term for the soldiers on Thursday after they posted the photos on Facebook calling for revenge for the killing of Gilad Shaar, Naftali Fraenkel and Eyal Yifrach. Thousands of Israelis, including active soldiers, have posted calls on social media calling for revenge, including a Facebook page with over 32,000 likes called “The People of Israel Demand Vengeance!” The page was taken down Thursday. Also Thursday, Prime Minister Benjamin Netanyahu reiterated his condemnation of the murder of a Palestinian teen whose body was found a day earlier, hours after he was forced into a car and kidnapped from eastern Jerusalem. Netanyahu continued, “I appeal to all the citizens of Israel and ask you: Please exercise restraint in your actions and words. Our hearts ache, our blood boils, but we must remember that we are, first and foremost, human beings and we are citizens of a law-abiding country. We are making decisions in a responsible, cool-headed and considered manner. An autopsy was performed Thursday on Muhammad Hussein Abu Khdeir. His funeral is set for Friday afternoon after Muslim prayers. Jerusalem police denied the family’s request to begin the funeral at the Temple Mount, according to Haaretz. Police fear the funeral will spark additional riots and violence. 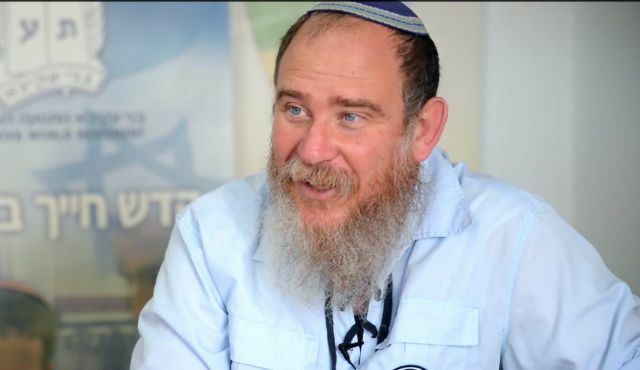 The head of the World Bnei Akiva youth movement called for the “blood of the enemy” in revenge for the murder of Eyal Yifrah, Naftali Fraenkel and Gil-Ad Shaer on Facebook post he wrote after the discovery of the slain teenagers. The last line referring to “Philistine foreskins” is a biblical reference to the book of Samuel in which the future King David wages war against the ancient Philistines killing 200 of them and bringing back their foreskins as proof for King Saul. Chief Rabbi David Lau speaks out against calls for revenge, says it goes against Judaism in terms of morality, values, and Jewish law. He subsequently deleted the post and then issued an apology, saying his comments were misunderstood. “My words have been misrepresented due to their biblical and poetic style. I deeply and unreservedly apologize for the anger that this has caused,” Perel wrote on Thursday. As can be seen in my Previous Post, the damage from such sentiments began before his post was deleted on FaceBook. Facebook group named ‘The people of Israel demand revenge’ rakes in over 35,000 members in two days, many of whom are soldiers; Israeli army: Commanders will take a heavy hand against soldiers involved in this serious incident. This hatred is going viral in the Western Media as well as on the Net …. but no attempts to remove this type of virtual terrorism on FaceBook can be found. BETHLEHEM – Thousands of Israeli soldiers and civilians have joined social media campaigns calling for the murder of Palestinians since the discovery of three missing Israeli youths on Monday. Hundreds of photos have been posted on Facebook accounts and Twitter calling for revenge following the killing of three Israeli teens who went missing on June 12. A Facebook page entitled “The People of Israel Demand Vengeance!” gained over 36,000 likes in just under two days before being removed, as users posted pictures of themselves holding signs demanding revenge. Israeli soldiers, some of whom may currently serve in the occupied territories, posted pictures online calling for the death of Palestinians. authorities to kill Palestinian “terrorists” every hour. The online incitement campaign is the latest in a series of social media movements in Israel defending or promoting violence by Israeli forces. In April, a Facebook page created to support an Israeli soldier who cocked his gun and aimed at Palestinian teenagers in Hebron received over 60,000 likes. The soldier, from the elite Nahal infantry unit, was suspended after video footage of the incident emerged. Following the disappearance of three Israel teens on June 12, over 10,000 people joined an online campaign to kill a Palestinian “terrorist” every hour until the teens were returned to their families. 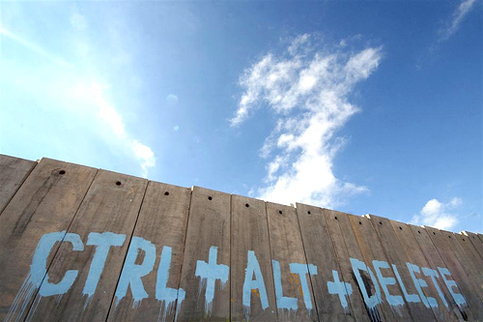 The online campaigns have manifested into brutal attacks on Palestinians. Late Tuesday, a Palestinian teenager, Muhammad Abu Khdeir, was kidnapped in Shufat and his body was later found in west Jerusalem. The murder is suspected to be a “revenge” attack by Israeli settlers. Earlier Tuesday, hundreds of Israelis marched through Jerusalem’s town center chanting “Death to Arabs!”. A mob of young Israelis then tried to attack a Palestinian worker at a McDonald’s restaurant in Jerusalem while a young Israeli was arrested for spraying pepper spray at a Palestinian taxi driver. Numerous racist attacks were reported across Jerusalem and Israel. Israeli minister of justice, Tzipi Livni, on Wednesday condemned the social media campaign. The ‘bug’ is biting …. Hackers from Tunisia and Gaza break into the Facebook accounts of some 13,000 Israelis, make public a list of usernames and passwords. Channel 10 News reported on Monday that Arab hackers had broken into the Facebook accounts of some 13,000 Israelis. The hackers, from Tunisia and Gaza, made public on Monday evening the usernames and passwords of the accounts which they had broken into. In some cases they changed the profile pictures of the users in question. Victims of the hacking attack confirmed to Channel 10 that their Facebook account was hacked, with some saying they had thought the attack was a prank by their friends. Facebook told Channel 10 that it was working to ensure the continued online security of all users, and urged users whose accounts were compromised to change their passwords. There have been several hacking attacks targeting Israelis over the past year or so. In January, a person who claimed to be a Saudi hacker published the credit card information of some 400,000 Israelis. It was later revealed that the number of charge card accounts that had been hacked is about 15,000. Israeli hackers later “returned the favor” by publishing a list containing the names and credit card details of citizens of Saudi Arabia. In a subsequent “hacking war”, the websites of Yeshiva Machon Meir,the Israel Fire Services, El Al and the Haaretz newspaper were among those attacked by Arab hackers. The Israeli Defense Ministry has established a special cyber warfare administration, which coordinates the efforts of security agencies and the Israeli defense industry in developing advanced systems to deal with cyber warfare. The next stage of the website will implement functions like online charitable funds, crowd-funding, homes exchange, travelling together and an idea incubator, among other resources. It will also be involved in organizing professional conferences, forums and seminars. 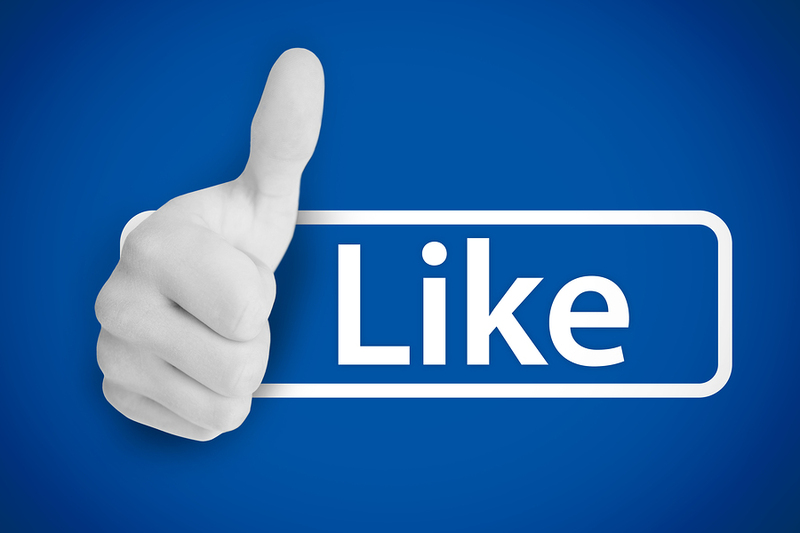 The birth of Facebook radically reinvented the way we socialize and interact with each other. In fact, while many critics condemn the social networking site, blaming it for the loss of personal interaction, lack of privacy and developing socially inept individuals, Facebook has proven successful at uniting communities and cultures, establishing solidarity amongst various groups, and even finding long lost friends. The popularity of Facebook has, naturally, brought about the rise of many similar social networking sites that are tailor made to cater to the needs of various kinds of population and cultures. One such website is Jewishnet.ru – a Jewish social platform of the new generation targeting to create integrated information space for Jewish users and organizations. It is currently is in the alpha version stage. With up to 80,000 daily visitors (and counting), Jewishnet.ru aims to preventing assimilation and stimulate Jewish self-education as well as to connect fast-assimilating Jews across the Russian-speaking world. The idea of the project was born in Ukraine in 2011 when Roman Gold, along with Igor Kozlovskiy, Co-founder of Jewishnet.ru, felt that Russian-speaking Jewry had no platform to connect and share news and interests. “The Jewish community faces several problems today in terms of Jewish identity due to stereotypes of Israel and Jewish people, low prestige level of Jewish education, intermarriages and conversion to other religions, etc.,” Kozlovskiy tells Shalom Life. “With this website, we are trying to help find a solution to these problems,” he adds. “Jewishnet.ru is now a universal platform for Jewish users and Jewish communities. It’s a communication tool with unaffiliated audiences and leaders of opinion in the Jewish world. Jewishnet.ru also has segments dedicated to couch surfing, dating and travel buddies. Currently, the site is among the three leading Jewish Russian-speaking recourses in the former Soviet Union. “Its brand is well-known for its quality and as a professional and successful Jewish resource playing an important role in the life of the Jewish communities, supporting and objectively covering events from around the world,” says Kozlovskiy. “We have supported the organization and mass media coverage of more than 30 successful conferences in Israel, Ukraine, Russia, Belorussia and the USA,” he adds. Jewishnet.ru is currently supported by a variety of outstanding Jewish figures, including Jewish Agency Chairman Natan Sharansky; Ukraine’s Chief Rabbi Yaakov Dov Bleich; Rabbi Shmuel Kaminetzky, chief rabbi of Dnepropetrovsk region (Chabad); Moscow’s Chief Rabbi Pinchas Goldschmidt; Kenny G, one of the most famous musicians in the world; and many others. The website has also created an impressive pool of journalists and public figures of more than 600 people, who help develop a strategy for objective coverage of all things Jewish, Israeli-reality and to fight all kinds of anti-Semitism. Jewishnet.ru has presented exclusive content from some of the most currently renown Jewish authors including Kseniya Svetlova, Dr. Zoya Kopelman, Dina Rubina, Evgeniy Satanovskiy, Zeev Chanin and many others. “Over 1,200 Jewish and non-Jewish organizations and structures all over the world are our partners at the moment,” Kozlovskiy says. Jewishnet aims to approach the global market and become a multilingual platform, targeting English at first and then trickling into other languages. Kozlovskiy is ambitious and has huge plans for Jewishnet.ru besides increasing its unique users per day to 12-18 million. “In six years, we want the platform to become a de facto role model for managing social, educational and other activities for Jewish and non-Jewish organizations interested in strengthening cooperation with Israel and/or Diaspora,” he says. “We would like to see our platform become a global influential and well-known Jewish resource in the world, so that every Jew, in any corner of the world, would have an opportunity to find something useful, meaningful and needed on our resource,” Kozlovskiy adds. The Israeli prime minister’s office is organizing Israeli students in “covert” and “semi-military” style units to tweet and post pro-Israel messages on social media without revealing they are doing it as part of a government propaganda campaign, Israeli media reported today. But as The Electronic Intifada has previously revealed, this effort is not entirely new. The Prime Minister’s Office is planning to form, in collaboration with the National Union of Israeli Students, “covert units” within Israel’s seven universities that will engage in online public diplomacy (hasbara). The students participating in the project, who would post on social media networks such as Facebook and Twitter on Israel’s behalf, will be part of the public diplomacy arm of the PMO [prime minister’s office], but would not identify themselves as official government representatives. Haaretz adds that it is apparent from the document “that a diplomacy group will be set up at each university and structured in a semi-military fashion.” The person in charge of the initiative is Daniel Seaman, former director of the Government Press Office, who has used his personal Facebook page to post racist, Islamophobic and violent material. But this effort is not new. Last year, The Electronic Intifada revealed that the National Union of Israeli Students was already a full-time partner in Israeli government propaganda and set up a project to pay Israeli university students up to $2,000 to spread propaganda online. As The Electronic Intifada also reported, the National Union of Israeli Students sent its members for government propaganda training and described students as Israel’s “pretty face,” to be deployed as a propaganda auxiliary force. At the time, the Electronic Frontier Foundation’s Jillian C. York compared Israel’s online propaganda efforts to those of China, Syria and Bahrain. “I have seen considerable efforts, both by Israeli companies like Ahava and–apparently–government-supported groups, to utilize some of the same techniques as Syria and Bahrain, particularly on Twitter,” York also previously wrote. Such Israeli government efforts, which attempt to disguise official propaganda as the work of ordinary concerned citizens and students, date back at least to December 2008, during Israel’s Operation Cast Lead assault on Gaza. At that time Israeli social media strategist Niv Calderon wrote that he was hired by the foreign ministry for a first of its kind effort to create a digital “war room” to promote Israel’s propaganda message internationally. Calderon was later involved in similar organized social media efforts to discredit the Gaza flotillas, and in one report on Israeli TV from June 2011, Calderon can be seen managing a social media “war room” working against that summer’s flotilla to Gaza. The report even shows social media propagandists being trained to find random images of market places in Gaza to post online to obscure the fact that Israel’s siege has caused severe hardship to the civilian population there. Calderon has also previously worked on the social media campaigns of the anti-Palestinian group StandWithUs. The new “covert” social media push comes as surveys confirm Israel’s status as one of the most negatively viewed countries in the world. 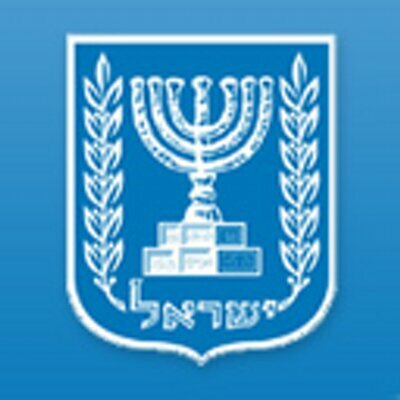 Netanyahu, like the Israelis behind these various covert schemes, seems to think Israel can still market, sell, cheat and tweet its way out of being seen, rightly, as an apartheid-practicing, colonizing occupier, violently depriving millions of Palestinians of their most fundamental rights. One obstacle the Israeli campaigns must overcome is the fact that Israel’s biggest social media hits have been entirely negative – a result of the tendency of many Israelis, especially soldiers, to post violent, hateful and outright racist material on their social media accounts, especially on Facebook and Instagram. The recruitment of universities and their complicity in government propaganda efforts aimed at justifying Israeli violations of Palestinian rights will likely strengthen arguments in favor of the Palestinian call for the boycott of Israeli academic institutions. This call received a boost this week – unrelated to these social media campaigns – from dozens of international faculty calling on their peers to boycott an upcoming conference on oral history at the Hebrew University. After last week’s photos and ensuing media hubbub, the IDF hastened to denounce the photographs as contrary to IDF code, but various media outlets worldwide picked up the story, dubbed it “Gaza Strip” and merrily published the photographs, unblurred. In these photos, which promptly turned viral, the soldiers were seen clad in nothing but underwear and their weapons.